Eye Care Services in Boulder, CO | Book Your Eye Exam Now! 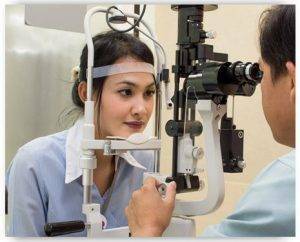 The eye care professionals in Gunbarrel Optometry give thorough eye care to a diverse clientele with specialist support for a wide array of issues such as macular degeneration, dry eye, diabetic retinopathy, glaucoma, and cataracts. If your eye is injured, don't try to judge the severity of it. Immediately seek the opinion of an eye doctor to lessen the risk of hurting your vision. We understand ocular emergencies can arise at any time.